On election day in Liverpool, Nilsa Mariano and Whittaker Duane cast their votes to support issues they consider central: for Mariano, immigration, and for Duane, healthcare. 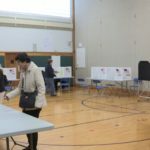 Although the 11 A.M. weather was less than ideal, the pair, alongside many others, were not deterred from coming to the Redeemer Evangelical Convent Church to exercise their rights. 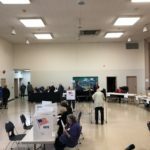 After the wave of morning voters, poll workers at the Salina Town Hall were ready for the next rush of voters in the early afternoon. 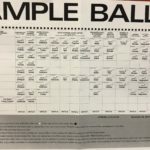 Several people filed in to cast their ballots while on lunch breaks from work, including some who made sure to come out this year even after not regularly voting every November. 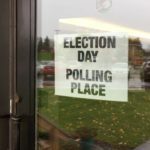 CNY Political Yard Signs: Could They Impact the 2018 Election? 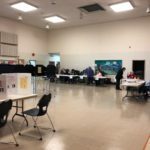 It is Election Day 2018! One political science professor at Syracuse University is taking a look at the race in the 24th Congressional District through yard signs. 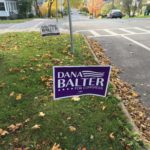 Democracy in Action’s Greg Bradbury explains out how he thinks these could play a role in the race between John Katko and Dana Balter.